With the end of the school year quickly approaching, it is about that time of year to start thinking about planning graduation parties. Celebrate the hard work and determination that your child displayed in his or her scholarly career and throw a party that shows your joy for his or her accomplishment. Planning a party is no easy task. The to-do list can seem endless and bring about unwanted stress and anxiety. We are here to help you through this process and make it as easy and cost-effective as possible. To throw a party, there are certain supplies and products that are essential and many certainly are expensive to purchase, especially for items that you may only be using just once. Because of this, renting can be an easy and inexpensive solution. Instead of buying expensive tables and chairs or trying to save money by buying low quality ones, rent high quality, durable products for a fraction of the price. Why waste money by purchasing things you may not use again or by purchasing bad products when there is another better option? Rental tables and chairs are top-notch products that will wow your guests and save you money. What more could a party-planner ask for? But tables and chairs certainly are not the only things necessary to throw a great graduation party. You will need a large number of utensils, plates, cups, glasses, serving trays, and cooking equipment. You could go to the store and purchase all of these things and spend a whole lot of money OR you could rent all of these items too! Rentals aren’t just limited to the big items like tables and chairs, smaller items such as the ones listed above are available for rent as well and they can really cut back your bottom line. Even with tables, chairs, and the items listed above, your party still isn’t complete. What good is a party without entertainment? Save money by renting a karaoke machine, dance floor, cotton candy machine, or countless other products designed for keeping a party fun and lively. Just about everything you would ever need for a party can be rented. Not only will it save you money, you will be getting products of the highest quality. 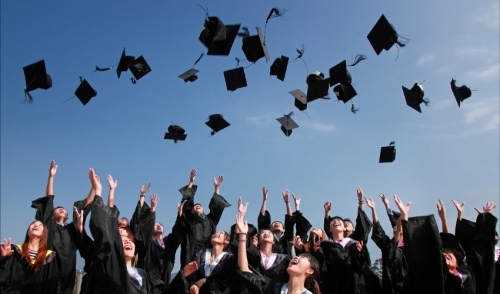 Rentals can turn your graduation party from a good one to a great one; great for your guests and great for you!